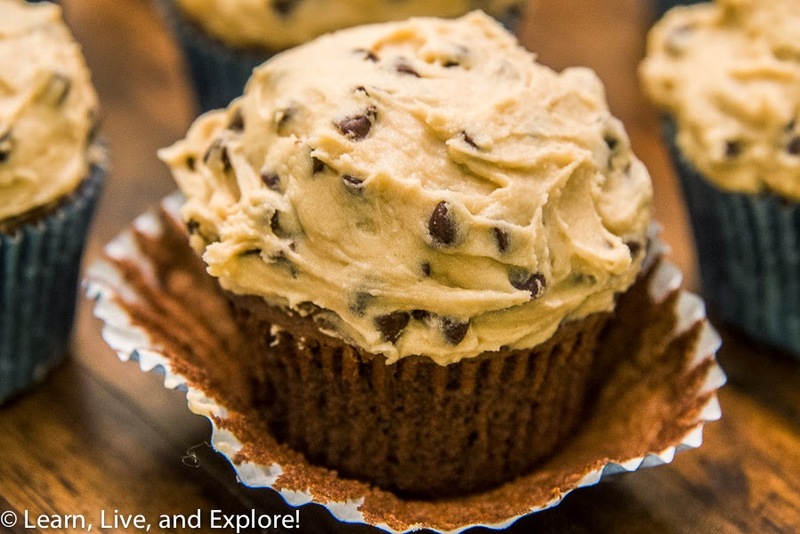 Chocolate Chip Cookie Dough Cupcakes ~ Learn, Live, and Explore! I am a big fan of chocolate chip cookie dough! So much so that I'm willing to totally disregard the small salmonella risk just to satisfy my desire to lick the spoon. 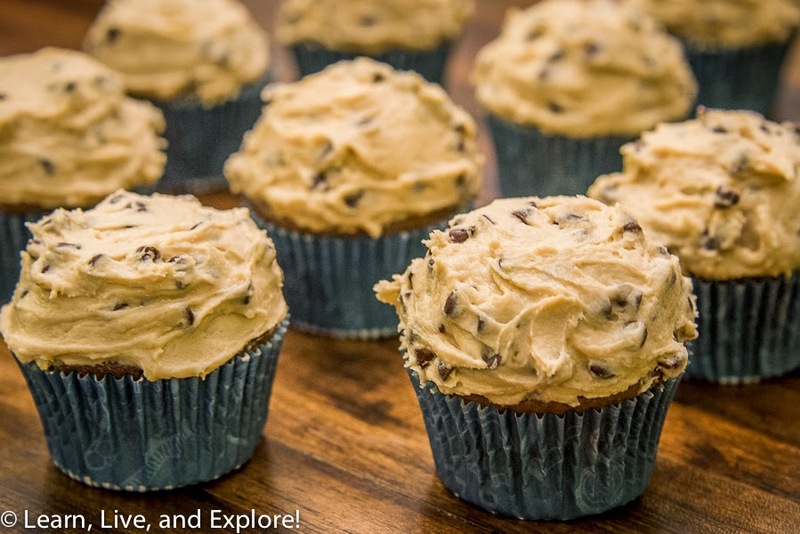 When I saw I Am Baker's post about a chocolate chip cookie dough frosting, I immediately added it to my to-do baking list. The idea behind this frosting is not to make actual cookie dough, but focus on the primary flavors - chocolate and brown sugar. The frosting is delicious and almost could be a dessert on its own. It's a little tricky to spread and get a good presentation look, but I kind of like that it's messy because then you feel like you're being naughty and scraping the side of the bowl with your finger. The great thing about this frosting is that there is nothing in it that won't keep in the refrigerator for a bit, in case you want save the leftovers and make another batch of cupcakes later in the week. Make a batch of chocolate cupcakes from a cake mix, following the instructions on the box. In an electric stand mixer, cream together the butter and sugar on medium speed until smooth. Add flour, vanilla, and salt and mix together well. With the speed on low, add the milk in slowly, one tablespoon at a time until you get the consistency you want. Add chocolate chips and mix in evenly on low or by hand. Spread over cupcakes and enjoy!